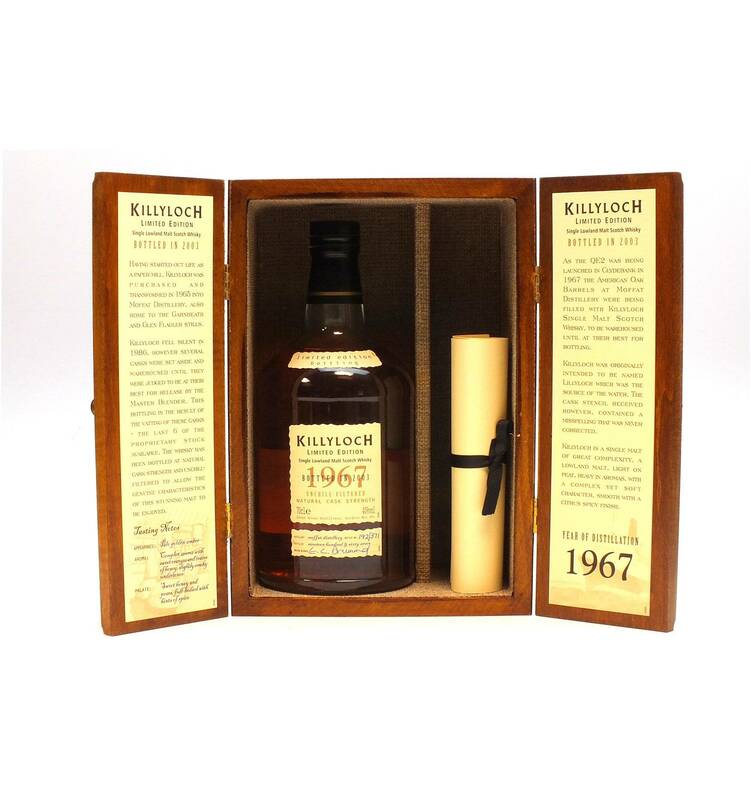 Having started out life as a paper mill, Killyloch was purchased and transformed in 1965 into Moffat Distillery, also home to the Garnheath and Glen Flagler Stills. 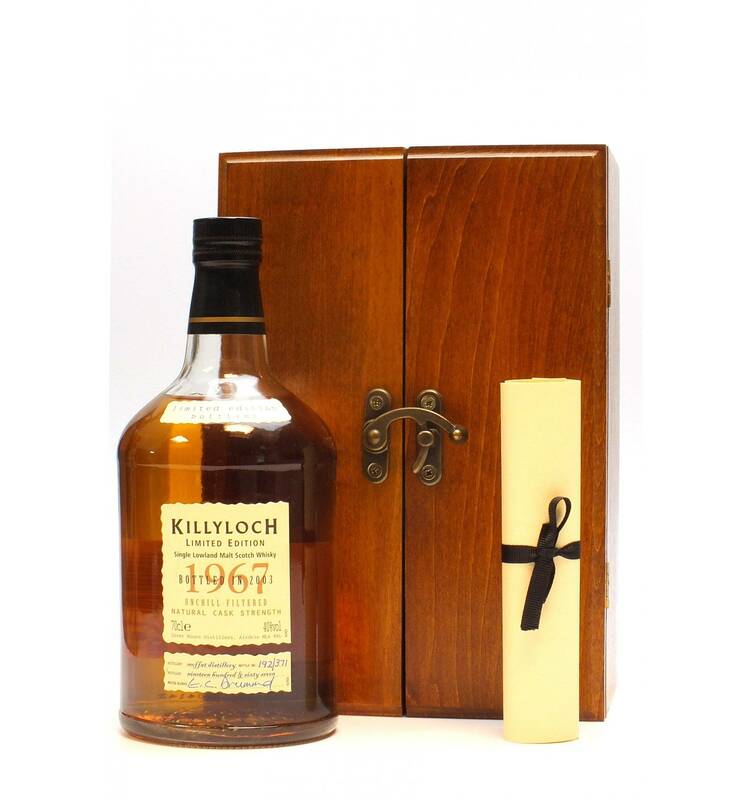 Killyloch fell silent in 1986, however, several casks were set aside and warehoused until they were judged to be at their best for release by the Master Blender. 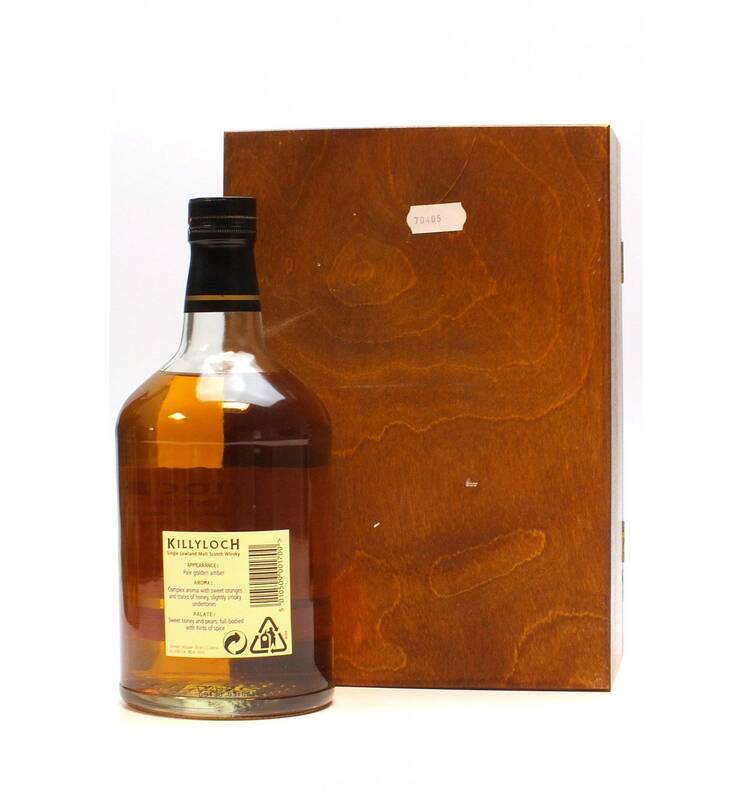 This bottling is the result of the vatting of the casks - the last 6 of the proprietary stock available. The whisky has been bottled at natural cask strength and unchill-filtered to allow the genuine characteristics of this stunning malt to be enjoyed. 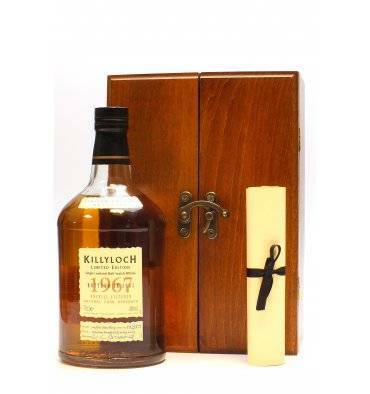 As the QE2 was being launched in Clydebank in 1967 the American Oak Barrels at Moffat Distillery were being filled with Killyloch Single Malt Scotch Whisky, to be warehoused until their best for bottling. Killyloch was originally intended to be named Lillyloch which was the source of the water. The cask stencil received, however, contained a misspelling that was never corrected. Distilled in 1967 then bottled in 2003. Limited to only 371 bottles.